Rich Lynch is back behind the microphone for an all-new take on his radio show set to break new ground in 2019. Bookmark this page for all archived episodes. 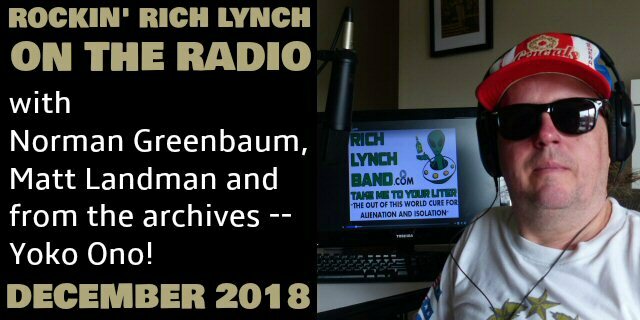  December 2018 - with Norman Greenbaum, Matt Landman and from the archives - Yoko Ono!